CANBERRA, Australia (AP) — Australia’s beleaguered deputy prime minister withstood a parliamentary vote Thursday that would have called for his firing after revelations of a relationship with a former staffer and a free-residence deal with a wealthy political donor. But Barnaby Joyce will take leave rather than act as government leader next week, as his Nationals party mulls his future. 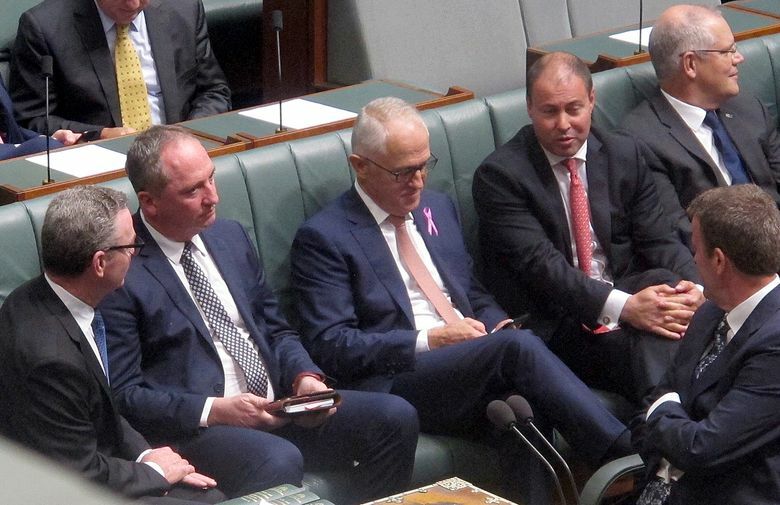 The opposition Labor Party had hoped disaffected lawmakers in Joyce’s own party would back their motion, but coalition lawmakers in the House of Representatives held firm and defeated it 73 to 70. Prime Minister Malcolm Turnbull has publicly stood by his deputy. But the prime minister announced later Thursday that Joyce will not act as prime minister when Turnbull travels to the United States next week. Turnbull had said as recently as Wednesday that Joyce would act as prime minister next week, which is the usual role of his deputy. But Turnbull said the government would be led in his absence by its Senate leader, Mathias Cormann, because Joyce was taking leave for a week. Joyce has said his marriage breakdown and his current relationship with Vikki Campion are private matters. But questions have been raised about her employment in two government jobs after working in Joyce’s office and the rent-free apartment where Joyce and Campion live. 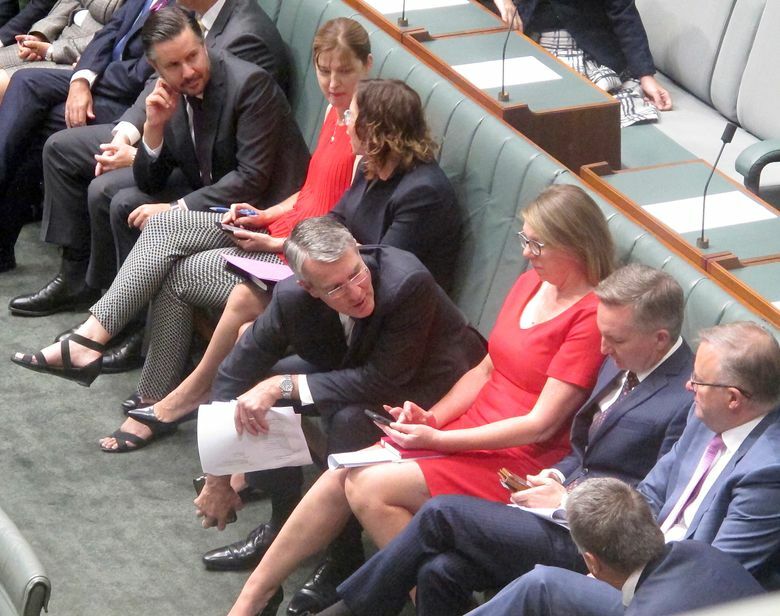 Opposition lawmaker Mark Dreyfus said a ministerial code of conduct stated that ministers “must not seek or encourage any form of gift in their personal capacity” and must act with regard for integrity, fairness, accountability, responsibility, and the public interest. “Very high-flying words setting a very high standard, but one which this deputy prime minister has woefully failed,” Dreyfus told Parliament. Joyce said he wasn’t a minister late last year when businessman and political donor Greg Maguire offered him the apartment for six months rent-free. The High Court disqualified Joyce from Parliament in October because of a constitutional ban on dual citizens standing for election. Joyce argued he was unaware that he had inherited Kiwi citizenship from his New Zealand-born father. He renounced his second nationality and comfortably won a by-election in December. Joyce said Maguire offered the apartment before that election because Joyce was estranged from his wife and was “living out of a suitcase.” Maguire could not be immediately contacted on Thursday for comment. “My personal circumstances have been up hill, down dale in this last week. I accept that and that is the price of a political life,” Joyce said in his first speech to Parliament discussing the relationship since reports surfaced last week that he and Campion are expecting a baby in April. Nationals President Larry Anthony, the party’s most senior bureaucrat and a former legislator, said the party had resolved to give Joyce more time as leader to ride out his controversies. “It’s been an extraordinarily difficult time for the … party and clearly for Barnaby Joyce and his family and for the government,” Anthony told reporters. “It’s important people think very carefully about making any significant decisions. You are never wise to make decisions in the heat of the moment. Barnaby should be given time,” Anthony added.